Photo courtesy of Sue Stein. Major Russell Clemensen Goodman posing in 1964 or 1965. When the telephone rang in the early morning of Nov. 16, Sue Stein was in her Soldotna home alone, grieving for her mother, June Goodman, who had died only a few days earlier. When Stein answered the phone, the voice and the words she heard were an echo from the previous November, and the start of a spiral of history going back more than 40 years. In her home, Stein began to cry. Photo courtesy of U.S. Air Force. 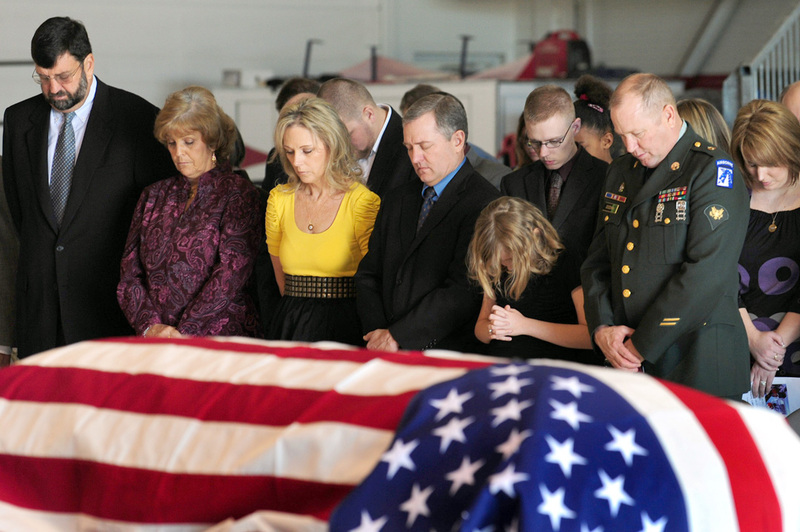 Family of Maj. Russell Goodman assemble around his flag-draped casket during a funeral service at Nellis Air Force Base in Nevada on Jan. 14. 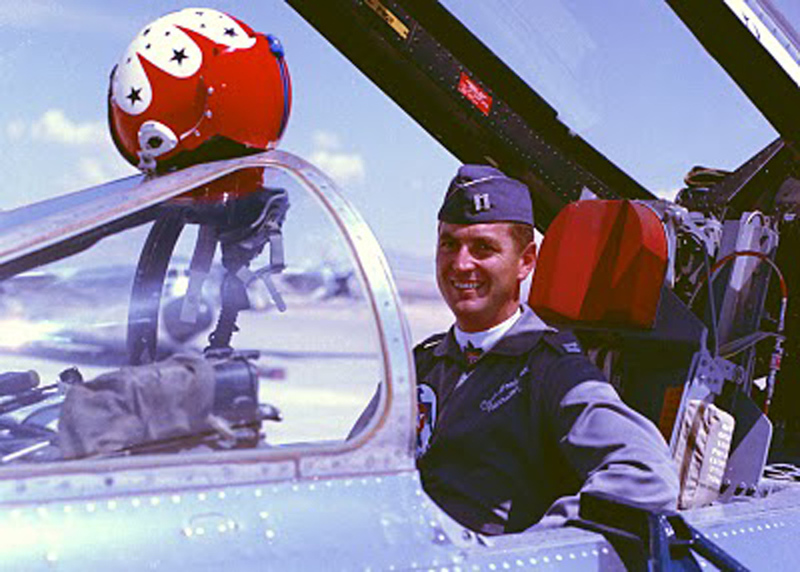 Goodman was an Air Force captain, a fighter pilot and a narrator for the Thunderbirds. He was shot down in Vietnam during the war, and his remains were recently identified. 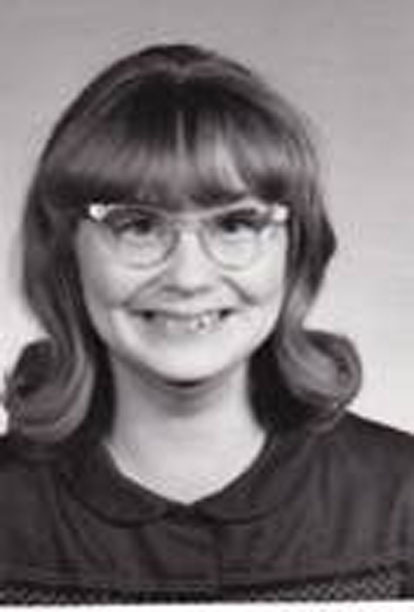 It was less than one week, but the actual journey through time stretched back to Feb. 20, 1967, when her father, Major Russell Clemensen Goodman, along with his weapons/systems officer, Navy Lt. Gary L. Thornton, was shot down by a surface-to-air missile while flying a bombing mission against a railroad yard in Thanh Hóa Province, North Vietnam. Goodman was an Air Force fighter pilot flying for the Navy on an exchange program. A narrator/pilot for the elite Thunderbirds flight demonstration team in 1964-65, he was still attached to the Thunderbirds when he was sent to fly naval bombing missions in Southeast Asia. Just days after he had earned the Silver Star for saving a downed aircrew, Goodman, along with Thornton, took off in a F-4B Phantom jet from the aircraft carrier USS Enterprise, and they were about eight miles south of Thanh Hóa city when the left front section of the plane was struck by a missile. Thornton tried but failed to establish contact with Goodman, and he was uncertain, based upon what he could see from his position, whether Goodman was unconscious, wounded or dead. Photo courtesy of U.S. Air Force. 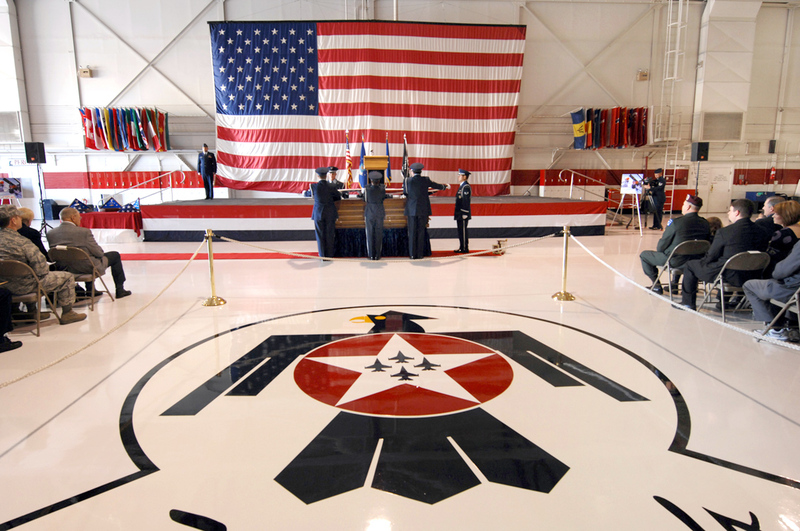 This is the U.S. Air Force Demonstration Squadron hangar, featuring the Thunderbirds insignia, on Nellis Air Force Base in Nevada, during the funeral service, with full military honors, for Maj. Russell Clemensen Goodman. At approximately 250 feet altitude, Thornton ejected. He could not cause Goodman to eject because Phantoms in those days were not equipped with dual-ejector controls. Although he believed that Goodman had not ejected on his own, Thornton was never able to confirm his suspicions because, within minutes after parachuting to the ground, he was captured by North Vietnamese soldiers. As he was marched away, he saw a plume of black smoke from the wreckage of the downed jet. Thornton became a prisoner of war, including time in the brutal prison known as the Hanoi Hilton. For the next three years, he was believed dead, and his parents were told that he had been killed in action. He was not released by the Vietnamese for another three years. Back in San Diego, where Goodman’s family was living, they were informed that Goodman had been shot down. Like Thornton, Goodman was declared “K.I.A., no body recovered.” Search-and-rescue attempts were curtailed because the area was rife with anti-aircraft and automatic weapons fire. Within a couple of weeks, a memorial service was held for Goodman, attended by his wife, who had been his high school sweetheart while growing up in Utah, and their three young children: Christine, age 10; Sue, 9, and Russ, 6. Photos by Jenny Neyman, Redoubt Reporter. 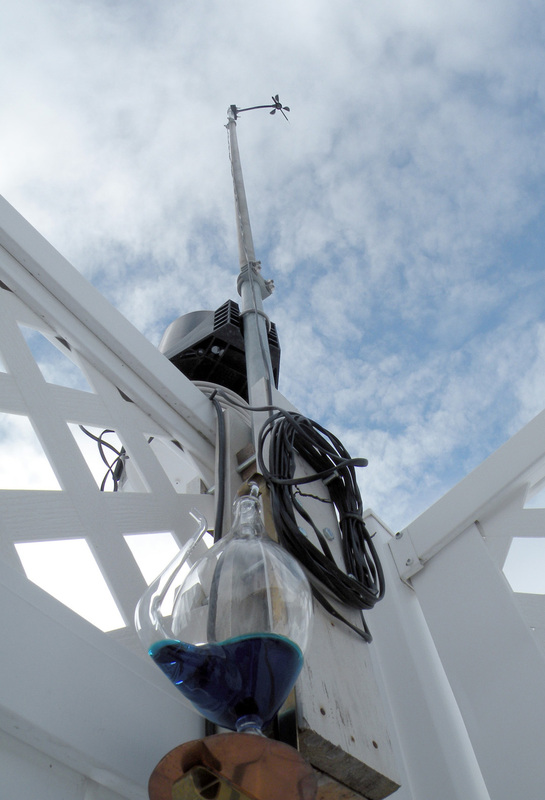 High-tech weather instruments and an old-fashioned barometer are attached to a fence in Jerry Olmes’ backyard in Soldotna. To someone whose interest in the weather is limited to glancing out a window before settling on a shoe choice in the morning, Jerry Olmes’ level of fascination may be about as foreign as the details he keeps daily records of — heat index, solar radiation, evapotranspiration rate. 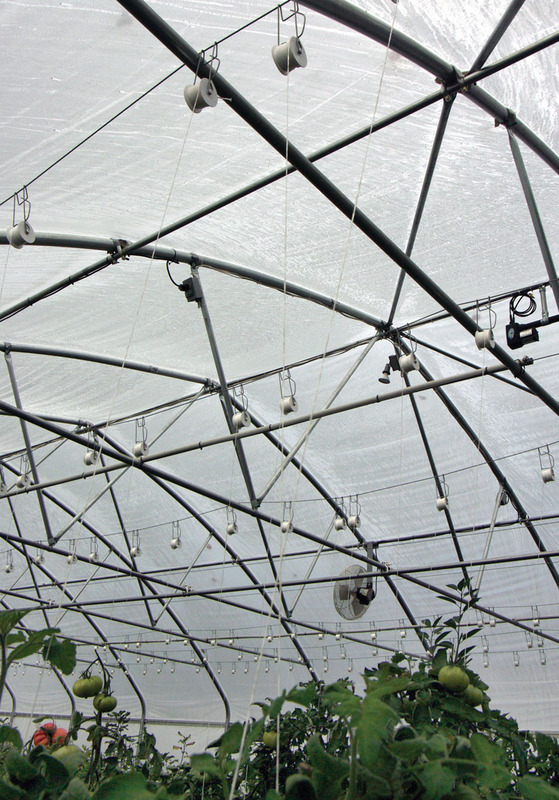 Temperature, precipitation, wind speed — that’s all well and good, but that’s not what led Olmes to get his own weather station setup at his house. That’s not what made him go from reading Steinbeck’s “The Grapes of Wrath” to studying the possible causes and effects of Dust Bowl storms during the Great Depression for his master’s thesis. That’s not what has him starting every day checking anemometer readings and measuring his own rain gauge, and ending each day logging summaries of the wind speeds, rain rates and solar radiation totals in between. 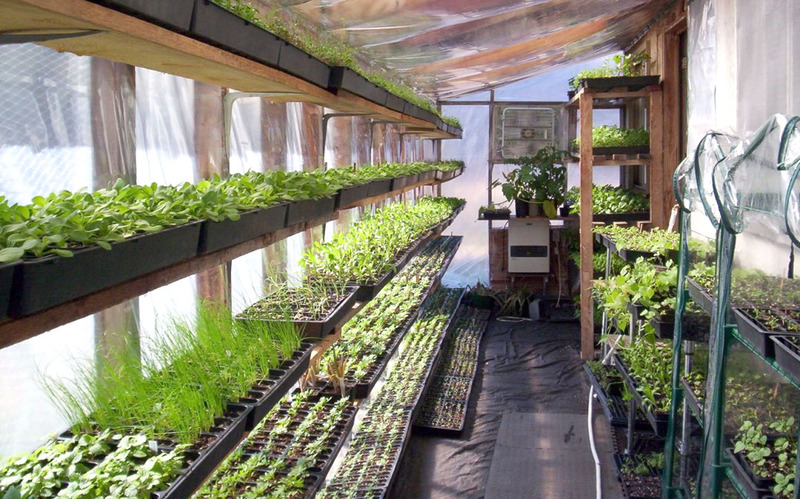 “I’ve done this in the various places I’ve lived as a hobby. I’ve always had an interest in it, and so I’ve made just personal, for-fun observations, just to see how things go from year to year,” Olmes said. The extent of what casual weather observers are concerned with barely scratches the surface of Olmes’ hobby. Temperature, cloud cover, whether it might rain tomorrow — all that is merely the most noticeable picture created from the puzzle pieces of the forces of nature at work. It’s the end result of the interplay of wind sweeping in off the ocean, of moisture-laden clouds being wrung out over mountains, of geography exerting its inexorable influence over air patterns, and the monkey wrenches that El Ninos or sun-spot activity can occasionally throw in. Those facets are what elicit an “oh, my gosh” from the Soldotna retiree — spoken with a cadence, tonality and reverence similar to the last three notes in the “Close Encounters of the Third Kind” tune — and what’s kept him fascinated by the sky and all its predictability, variety and occasional violence since he was a child. “When I was a small boy, my father and I used to go out and look at thunderstorms. We’d go out and drive and watch them and stuff like that, and I’ve always been interested. It’s just been a hobby ever since,” Olmes said. He studied meteorology in college, though he got a degree in geography, and got a master’s degree in physical geography with an emphasis on climatology from the University of Nebraska Omaha. Meteorology has never been a profession for Olmes. He had a 30-year career of civilian jobs in the Coast Guard, doing desk-bound administrative work rather than sea duty. But it’s always been an interest. Ask him about the places he’s lived, and you’re likely to get the highlights of storms and weather patterns, rather than descriptions of favorite restaurants or local sports teams. 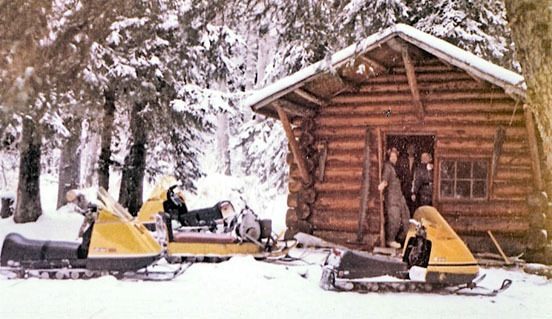 Olmes and his wife, Jo, lived in Juneau from 1983 to 1987. That’s when he started measuring and recording weather observations, in 1984. He was particularly interested in the variation of topography in Alaska and how it affected the weather. 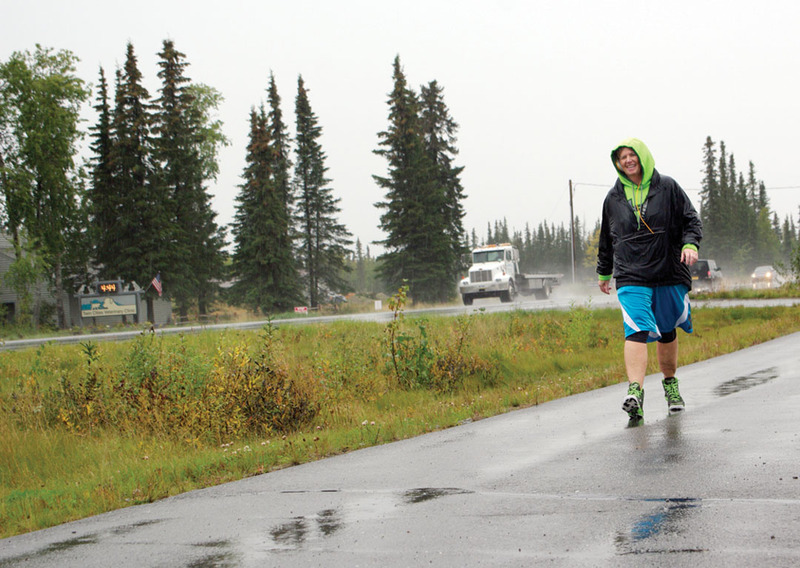 Jason Tauriainen and Bob Jameson both live in Nikiski, but the way they describe it sounds like two completely different towns. Tauriainen’s family homesteaded out north. He grew up in Nikiski and said he’s happy to raise his kids there now. The community has a lot to recommend it as a home — friendly neighbors, great schools, ample room for houses to be spread out and lots of recreational opportunities, he said. And there’s plenty of reasons to visit — lake fishing; bed and breakfasts; beaches for rock hunting, walking and riding off-road vehicles; campgrounds and a great recreation center with trails, tennis courts and a pool. That’s a vastly different take than Jameson has on the community. 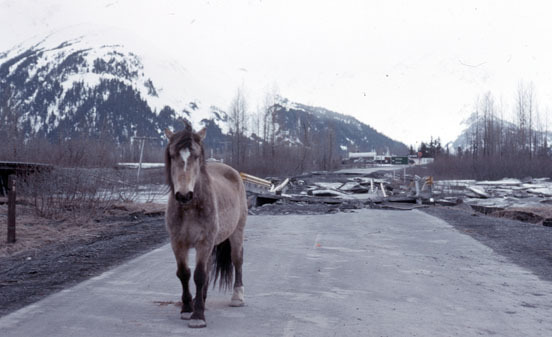 In his view, it’s both the industrial eyesore capital and rust belt of the Kenai Peninsula, with dilapidated buildings, cars and abandoned junk lining the road and a skyline dotted with oil rigs and industrial plants. Crime — especially theft and vandalism — and drugs run rampant, and there’s no law enforcement to protect residents, he said. Not only is Captain Cook State Park basically the one and only reason to visit Nikiski, Jameson warns potential tourists to stay away, with a militia movement headquartered in Nikiski and rumors of a dog-fighting ring. The completely opposite assessments of life in Nikiski also differ in yet another way —Tauriainen shares his view on a personal basis, in one-on-one conversations, while Jameson posted his on the Internet, in a site with informational content geared toward potential visitors. Choosing a link to “Things to do in Kenai” brings up a trip review credited to a Tim Morrison, who rails about how much he disliked the community, and how the only two enjoyable things he found to do were get a sandwich at Arby’s and visit Kenai Landing, the historic cannery complex at the mouth of the river. Photos by Jenny Neyman, Redoubt Reporter. 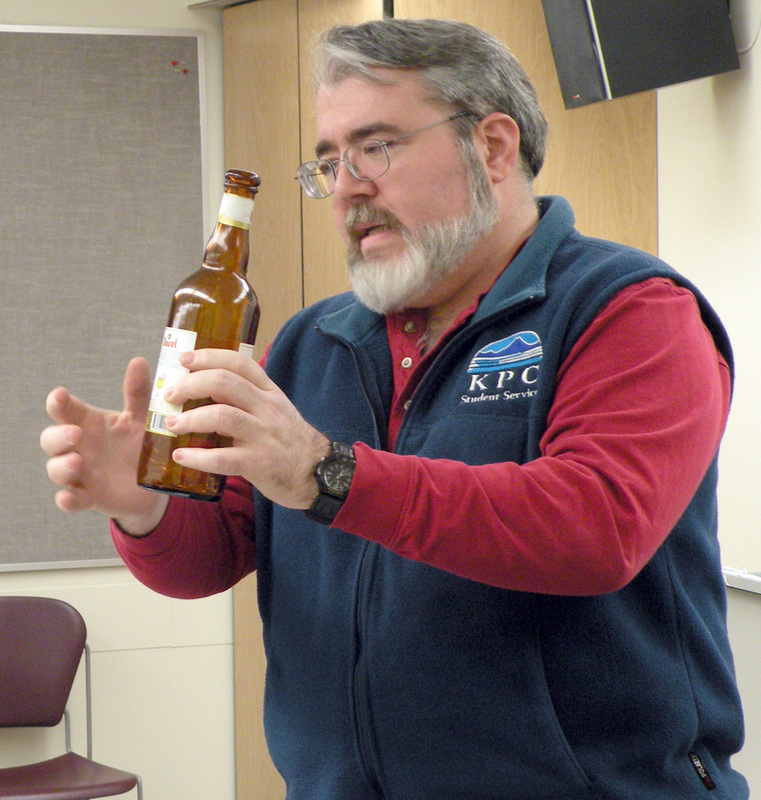 Bill Howell talks about a Duvel beer from Belgium he brought into his Art and History of Brewing class at Kenai Peninsula College’s Kenai River Campus on Feb. 16. Howell is competing for the title of Beerdrinker of the Year in Denver on Feb. 27. This next statement is going to fall victim to the unfortunate stereotype beer has been saddled with by people who drink it for its alcohol, instead of all its other qualities: Bill Howell is a serious drinker. But not in the if-one-is-good-a-six-pack-is-better vein. He’s probably about the last person to actually get drunk from drinking beer, because he knows its potency and his own tolerance. Why ruin a perfectly pleasant experience with a well-crafted brew by dulling your senses? No, Howell, of Sterling, is a serious drinker in that he’s serious about beer. As in, he could drink it for any occasion — or lack thereof — from watching a football game on the couch to pairing it with a fine meal so fancy it’s hard to order without fluency in French. He brews it, studies it, writes about it, plans trips around it, teaches a class on it, picks out nuances in aroma, taste and style, talks about its “mouthfeel” and “chewiness,” and welcomes just about anybody into his home with open arms if they bring a bottle of something interesting to share. Is that still not conveying his depths of beeriness? How about this: He credits beer with the founding of civilization. “As an inveterate meat-eater myself, I can’t see the prospect of regular loaves of bread being enough to convince men to give up their hunting and start working a shovel and a plow. After all, it’s not like they knew it was going to lead to civilization and all its amenities. No, they would have had to see an immediate return for them to change their personal patterns of behavior. Discovering the joys of fermented beverages is just the sort of direct benefit which could coax early man into agriculture,” Howell wrote of his philosophy of beer. Or this: He’s spending the weekend in Denver competing for the title of 2010 Beerdrinker of the Year. It’s a competition held by Wynkoop Brewery in Denver every year, and is well-known and respected in the craft beer community nationwide, of which Howell is a participant. He makes his own home brew, and recently won gold with his Strong Scotch, silver with his American IPA and bronze with his Imperial Stout at the Great Northern Brewers Club’s 2009 Humpy’s Big Fish Homebrew Competition in December. He writes a blog, Drinking on the Last Frontier, reviewing interesting brews he’s tried and sharing beer happenings locally, statewide and nationwide, when it piques his interest. 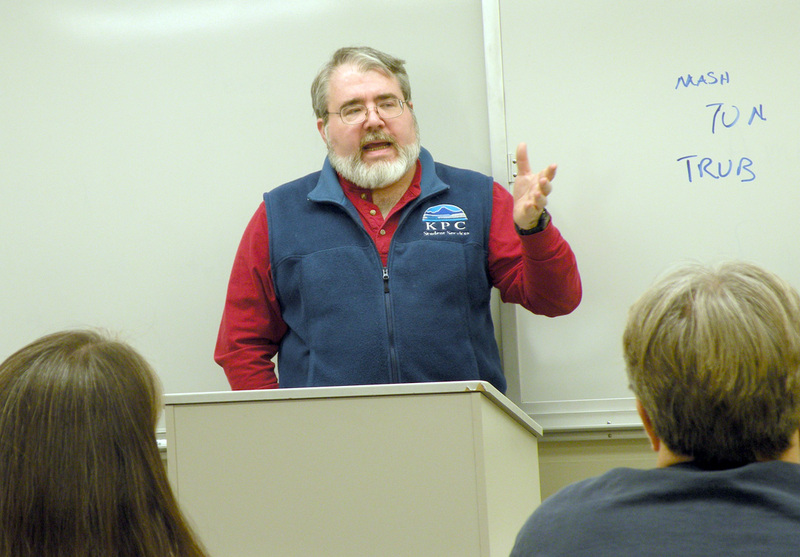 Spring semester marks Howell’s third offering of his Art and History of Brewing class at Kenai Peninsula College’s Kenai River Campus, discussing and sampling various styles of beers, touring local breweries and learning about the brewing process and history of beer. He also writes a monthly beer column for the Redoubt Reporter. So he’s seen mention of the Wynkoop competition crop up over the years. “I had heard about it in the past sort of floating around out there in the blogo- beero- Web-osphere. I’d see press releases or whatever —‘So-and-so wins Beer Drinker of the Year,’” Howell said. Around the middle of December he saw a notice that the contest entry deadline was coming up. He mentioned it to a few friends and his wife, Elaine, who told him he should enter. He did, submitting a resume of his beer experience — breweries visited, beer festivals and tastings attended, home-brew competitions, teaching and writing credits and a description of his philosophy of beer. But he didn’t tell anyone, figuring there was no way he’d be selected as a finalist. “You don’t know what the competition is. It’s like putting in for a job interview — you say, ‘Oh, I’ll write up this resume and make it look as nice as I can, but then when you get finished and read it over it’s like, ‘Well, that’ll never do.’ It’s the best I can do, but you always figure the other guy has more or better stuff,” Howell said. Howell addresses his class on Feb. 16. He plans to compete for Beerdrinker honors by talking about the importance of supporting local breweries and distributors. Yet he got a call from Wynkoop, asking if he could be in Denver on Feb. 27 to be one of three finalists. The trip is a bit of a budget buster for which Howell and Elaine had not planned, with little tangible reward. The winner gets free beer for life at Wynkoop, which doesn’t do Howell much good in Alaska, a T-shirt and a $250 tab at his home brewpub of choice. But still, Beerdrinker of the Year? It’s too good to pass up, especially since Howell sees it as an opportunity to bring attention to Alaska’s craft brew community. 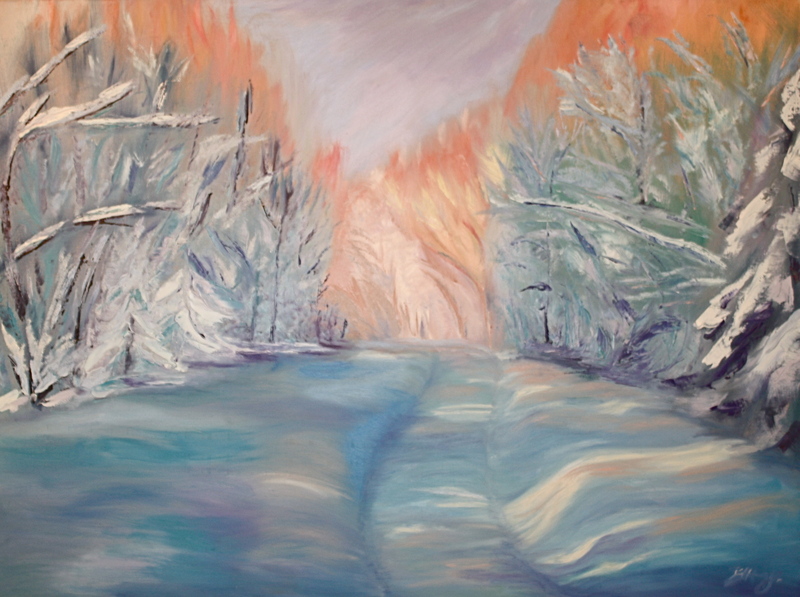 “My Way Home,” by Brandi Henry-Kerley, is part of “The Critical Eye” exhibit on display through February at the Kenai Fine Arts Center. The exhibit is put on by the Art Student League at Kenai Peninsula College’s Kenai River Campus. 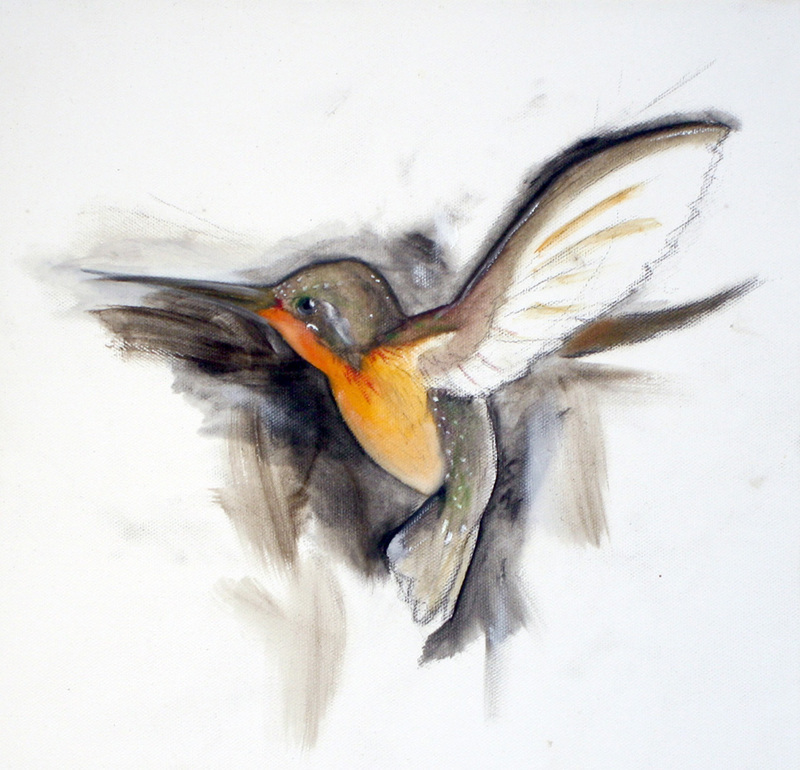 “The Critical Eye: Life Looks On in Repose” is an exhibit currently available to view at the Kenai Fine Arts Center, and is as much a project in the making as it is a visual arts showing. Many of the pieces do seem thoughtful and self-aware. I find myself most impressed with the black-and-white photography (much of which, by the way, is actual silver-tone processed from the recently revived darkroom). There is one that, although it feels like student work, the subject matter and the overall design and effect are highly enticing. Called “Pin Stripe Fence,” Kennaty Kerley has caught the magical effect of pinstripes of light coming through a heavy wooden fence onto sensual drifts of snow. Although the image is not very abstract (which might have been wonderful to try to achieve with the subject matter), the simple arrangement of elements and poetic and highly defined lines make it quite a lyrical piece. Another inviting work from the same artist is “Spirals,” and it has a more brazen composition that excites me. Todd Marshall-Closson has a number of black-and-white portraiture pieces that are worth the trip to Kenai, alone. Other entries that particularly caught my attention were “Nedra,” a mixed media piece by Nicole Lopez, a sweet little oil painting by Sam Merry titled “Humming Birds,” digital art called “Timeless,” by Clayton Hillhouse, and a really dynamic mixed-media painting by Todd Marshall-Closson entitled “Keep His Hands Off.” It is void of much color and is mostly textural with a perfect balance of photo collage and loose painting. A much less powerful, but nonetheless lovely rendition of a path in the woods, “My Way Home,” by Brandi Henry-Kerley, has a quaint and playful rhythm about it. The exhibit is up for the remainder of the month, at which time the Peninsula Art Guild will be accepting entries for the Juried Art Exhibit. 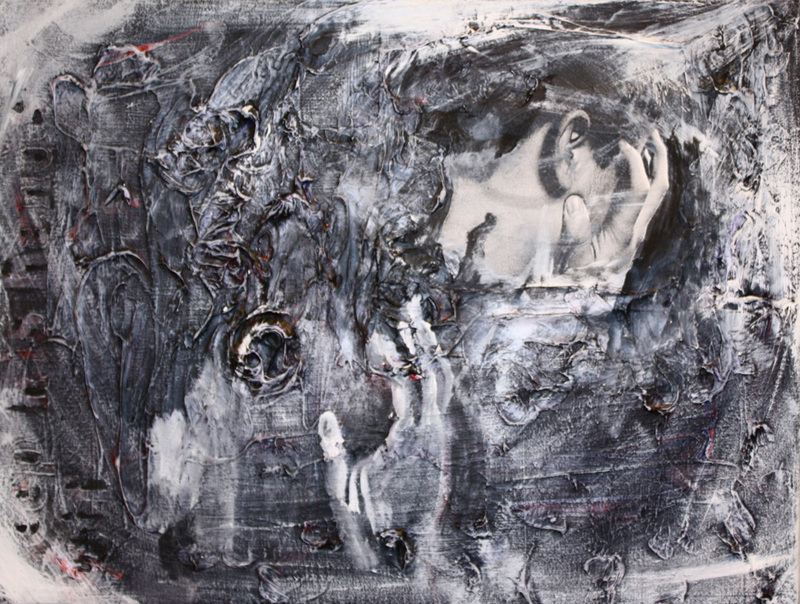 The juror this year is acclaimed mixed-media artist Sheila Wyne. Entries are accepted March 1 and 2 at the center, in Old Town Kenai. 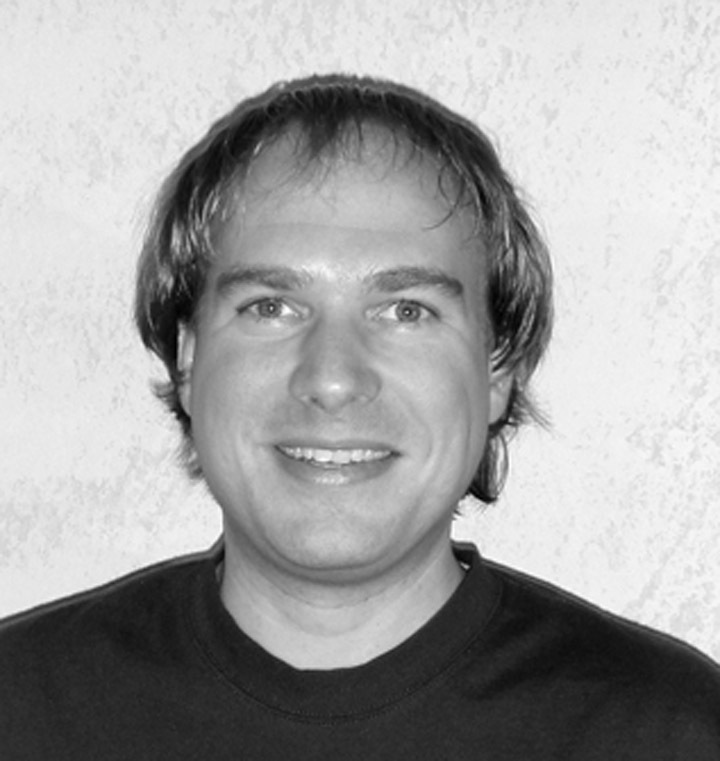 Zirrus VanDevere is a local mixed-media artist and owns Art Works gallery in Soldotna. She has bachelor’s degrees in fine arts and education. After a long hike across the lake, I finally came to the spot. The moon was low and the glimmer of false dawn reflected on the gray snow, giving the area the look of a battlefield: an old fire had blown ash across the surface of the lake, the florescent pink of Pro-Cure and the blood of recently caught fish stained the snow. It was hardly the relaxing day I prefer — spent inside an ice shanty with my portable heater turned up. My destination required enough miles of hiking that towing the shanty was a luxury to forego. But there’s an adrenaline that keeps diehard fishermen warm. It’s something that distance runners have described when they break through the barrier and running becomes as easy as breathing. The point is, when we push ourselves past our normal capabilities, when we go just a little farther and for just a little longer, there may not be guaranteed success, but there is a reward in expending all of our energy every day. Because when the epic fish we’ve been after finally bites, we’ve earned our dinner. I was looking to catch a winning rainbow for the 13th annual Trustworthy Ice Fishing Derby, going on through Sunday. Catching rainbows is usually easy, since they bite readily. I’ve literally caught a rainbow in my sleep. I was jigging for hours with an orange spoon and fell asleep in my camp chair. I was woken up by a 15-inch rainbow that didn’t need any special invitation to dinner. Since the weather had been warmer, the ice fishing holes weren’t frozen through, and it was easy enough to auger through the few inches of ice. The edges were jagged and the snow around the hole was stained with fish that had rolled the muck from the bottom of the lake off their skins just a day earlier. Stains around a fishing hole are a good omen. I half expected a rainbow to bite before my lure hit the bottom. It didn’t happen that way. Hours later, the adrenaline had worn off. I wasn’t the marathon runner breaking through the barrier anymore. My posture had aged 40 years as I bent over my rod, barely moving my wrist to jig. It was too cold to sleep, and I imagined I was getting carpal tunnel in my left hand so I had switched to my right. When the fish hit. My spine snapped to attention. I stood up and started reeling. Too fast for the 10 feet of water I was fishing. The lure hooked the bottom edge of the ice and the rainbow swirled around just long enough for his body to reflect up the hole, a silver curve of fish I speculate was 2 feet long. For those who’ve adopted a multitask lifestyle, enjoying one thing at a given moment can be a challenge. Too much on your plate can strip the fun out of the now. It may even prevent you from achieving your potential at certain tasks. How can you become proficient on the new software program at work when you’re thinking about your grocery list and dentist appointment? Sometimes it takes a literal fall on your hiney to remind you to manage things one at a time. So I’m diverse in my career. 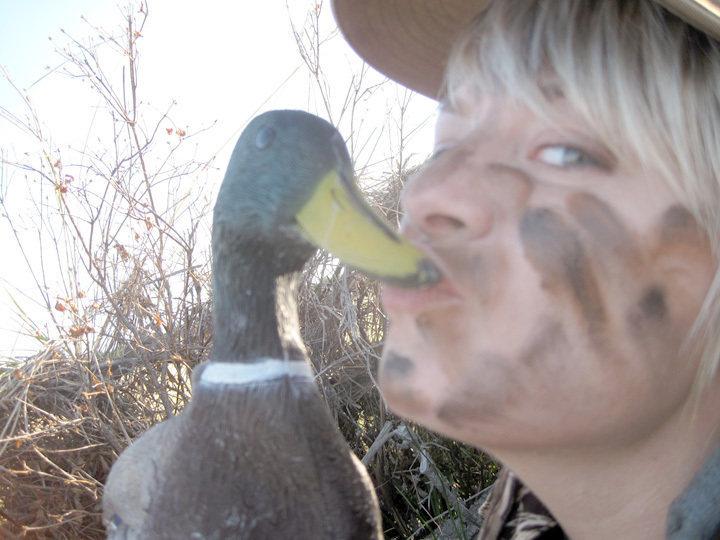 I dabble in sports and leisure. I love to perform in community theater productions. I watch more TV than I’m proud of, but I’ve never made time to watch a single episode of “Lost.” I race bicycles. Rather, I should say I complete bicycle races, far behind those who actually race bicycles. I hike, snowshoe, kayak if a friend is willing to lend one, jog at a blazingly uncompetitive pace and cross-country ski. The latter brings me to my point. My wife has been out of town for a week visiting family. I like skiing a little more than she does, so I’d prefer to go more often than her. So I thought I’d use her time away to catch up on a few missed ski hours. But the last day before my wife’s return had arrived and the skis sat untested. The ski tunes playlist I made for my iPod had not been played since I made it over a month ago. Not that I haven’t skied at all, but if my wife can come along, I’d prefer to chat than listen to music. After a morning spent on a long work to-do list, I threw the skis and dog in the car and headed for the Kenai Golf Course. The dog trembled with anticipation. By my count, this was our seventh winter classic cross-country skiing and my wife and I still amaze ourselves with our lack of skill. Our weaknesses expose themselves if the snow is fast and curves come on the downhill portion of a course. Neither of us is proficient at maneuvering turns on the slick stuff.